The World Padel Tour has ended a successful season of 27 tournaments in 9 countries with over 2900 official matches between Challenger, Open, WOpen, Master and Master Final. The recent renewal of its deal for a further five years, from 2019 to 2023, with an option to another five years, has consolidated the collaboration of the World Padel Tour with the players' associations to evolve the sport futher around the world. Throughout 2018, over 225,000 spectators have witnessed the best padel in the world, signalling an increase of 15% with regards to last year, with some weekends being completely sold out, going to show how much the interest for this sport has peaked. 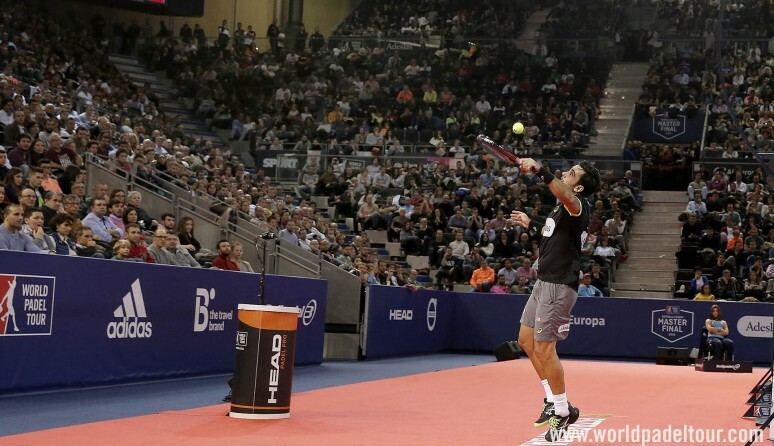 The Estrella Damm Master Final 2018 had almost 25,000 spectators, which is the highest number ever at a padel tournament. The semifinals registered the highest amount of spectators, with 7279 fans at the Madrid Arena from 13 different countries: Spain, Sweden, Norway, Belgium, England, France, Italy, Portugal, Germany, Mexico, Argentina, USA and Canada. The World Padel Tour's streaming service has continued to grow in 2018. From the quarter finals onwards, matches are also broadcast on the World Padel Tour's official channel. The 190 matches broadcast all season, summing up a total of 328 hours of action, generated over 23 million views on the Youtube channel, increasing the stats from 2017 by 42%. The total views on the channel rocketed to 109 million, which is 66% more than last year. The growth of our social networks throughout last year has been excellent. The World Padel Tour has looked to diversify its contents and that has reaped its rewards. Our social networks have grown by 42% in the last year, reaching a total of 624,000 followers on our different channels. The biggest growth has come on Instagram and Youtube, with an increase of 80% and 61% respectively, and we've also reached 200,000 followers on Facebook, where over 24 million minutes of World Padel Tour videos were viewed, which is an increase of 20% with regards to the previous season. 2018 has seen the World Padel Tour definitively take off in the world of communications. A total of 9030 news articles have been published throughout the season from the official presentation to the Master Final, which is 8% more than 2017. However, the real change has been the quality of this content, as it has gone from featuring in local media and making sporadic appearances in national media, to being regularly present in the biggest media outlets in the country. We've gone from talking about padel to showing padel, as the majority of our information comes with audiovisual content, adapting to the needs of consumers. Padel now has a huge international demand, and contents have been created for TV channels in Argentina and Italy, with all deals having been renewed after the positive results obtained.